Watermark’s Lead On Conference for Women, keynote speaker – Former Secretary of State Hillary Rodham Clinton and The Wright Place TV Show was there. Watermark’s Lead On Conference for Women occurred February 24, 2015 at the Santa Clara Convention Center in Santa Clara, California. Watermark is a community of executive women in the San Francisco Bay Area, whose mission is to increase the representation of women at executive levels to drive innovation, human development and economic growth. The Wright Place TV Show was there to capture the powerful remarks of Former Secretary of State Hillary Rodham Clinton and others. The video footage of her speech will be fully aired on the new season of the WPTV. By sharing these choice nuggets of inspiration and wisdom from the experience, the hope is to leave you with the “winning” energy her presentation transmitted. At the First Watermark Silicon Valley Conference for Women, former Secretary of State Hillary Clinton said gender equality is “not just a nice thing to do. Where women are included you are more likely to have democracy.” Clinton went on to say that equality for women is necessary to ensure a country’s economic and political stability, she said, according to live tweeted accounts of her speech. Gender equality in pay, education and leadership figured prominently in Clinton’s speech. She said that women need to take the lead and help other women, but that doesn’t necessarily mean doing something big and dramatic. “You don’t have to run for office… but if you do, more power to you,” the former Secretary of State, said. Following the speech, Kara Swisher, co-executive editor of the tech website Re/code, sat down with Clinton for an interview. Swisher quickly got to the question on minds all around the world: Will Clinton run for president? “I am talking to a lot of people,” Clinton said. “There are a lot of things I would love to see our country do.” But as for why she has yet to declare, Clinton said she hasn’t finished checking things off her list. “All in good time,” she said. 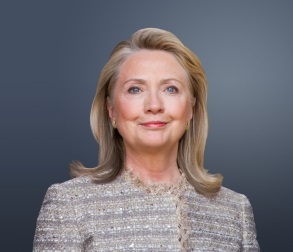 During the interview, Clinton talked about the progress she would like to see on issues like equal pay and family leave and revisited the topic of women in tech, likening the industry to “a Wild West environment.” When asked whether having a female president would make a difference, she said women taking seats in the Senate over the last several decades has already had an impact. Ina Fried, live-blogging the event for the online magazine Re/code, summed up Clinton’s speech as focusing on women in tech rather than addressing policy topics like security or net neutrality. Former Secretary of State Hillary Clinton left the stage with the confident and vibrant charismatic smile that is her signature. The First Watermark Silicon Valley Conference for Women showered her contribution with loud praise. Glamor can arise from any culture. Bollywood stars are know to wear some of the most beautiful outfits. If you are thinking of wearing a Sari for your special holiday or other occasion. While price is a consideration, the colors is a very important choice. You can get the petticoat and shirt in different colors to accent or match perfectly. What I love about a Sari is that it look beautiful on any shape woman. It’s a timeless fashion that makes you look elegant even if you don’t look like a model. The traditional silk sari is my personal favorite, however there are many different fabrics available now. Here a few tips to make the look even more perfect. Wear a fitted top. A loose top alters the look. You should go and have the top altered in order to fit your body exactly. Get a petticoat close to the shade of the sari. A sari draped in the Dravidian style is commonly worn in the South of Asia. There are two parts that compose these saris. The first one is the veshti, which is used for the lower part of the body. On the other hand, the mundanai (also called mundu), is the compliment part for the first one. The two elements measure around 4 yards and 2 yards. The veshti is draped like a towel around the waist, doubled in half along the garment. The word Saree comes from the Prakrit word “Sattika”, which later got shortened into “Sati” and much later “Sari. I travel a lot and when in Malaysia I prefer to have at least one upscale Sari with me. Mundu Neriyathum is the signature style of Kerala. This style compromises of a Mundu or the lower skirt piece and a Neriyathum or the drape of the saree along with a blouse. Mundu is worn like wearing a Dhothi and is securely wrapped at the hip. These days the Neriyathum is draped over the blouse and tucked at the waist of the Mundu.